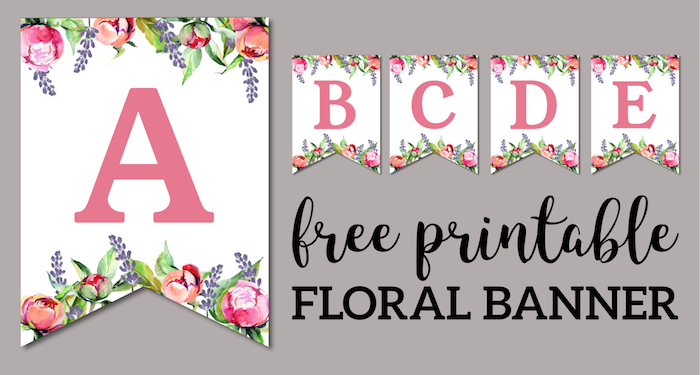 Use this floral alphabet banner letters free printable to personalize a message for a birthday party, create a banner message for a wedding, decorate for a baby shower, or to add some fun spring decor to your home. 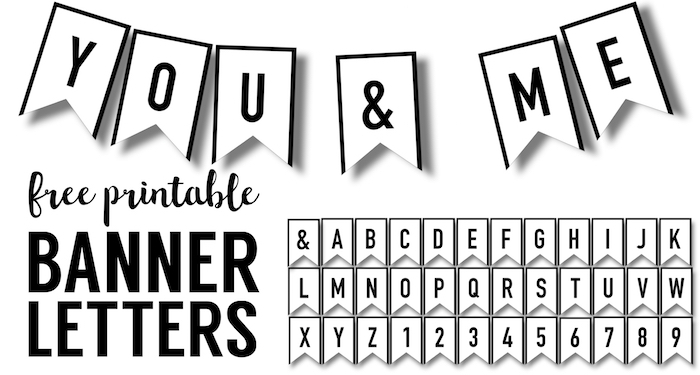 We’ve left one banner flag blank so you can customize the banner however you need it. PicMonkey is a great tool for editing images and photos. 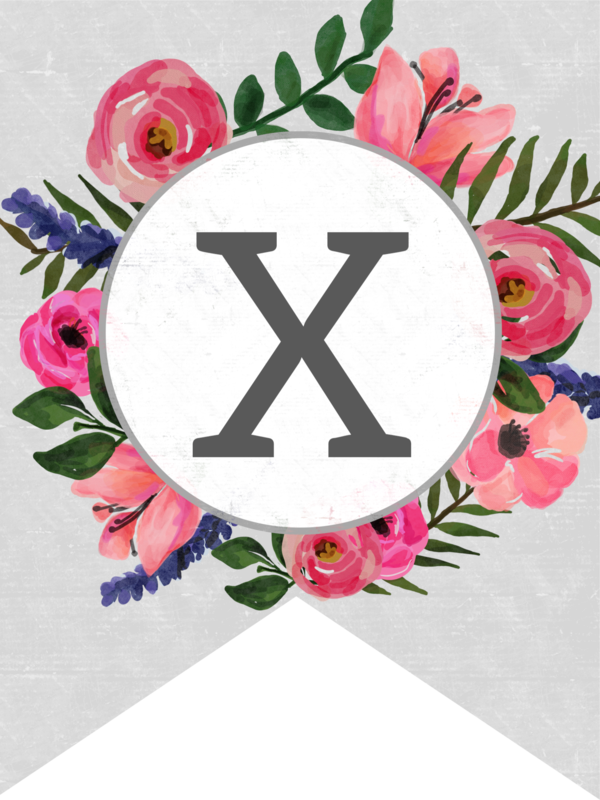 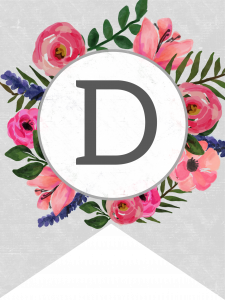 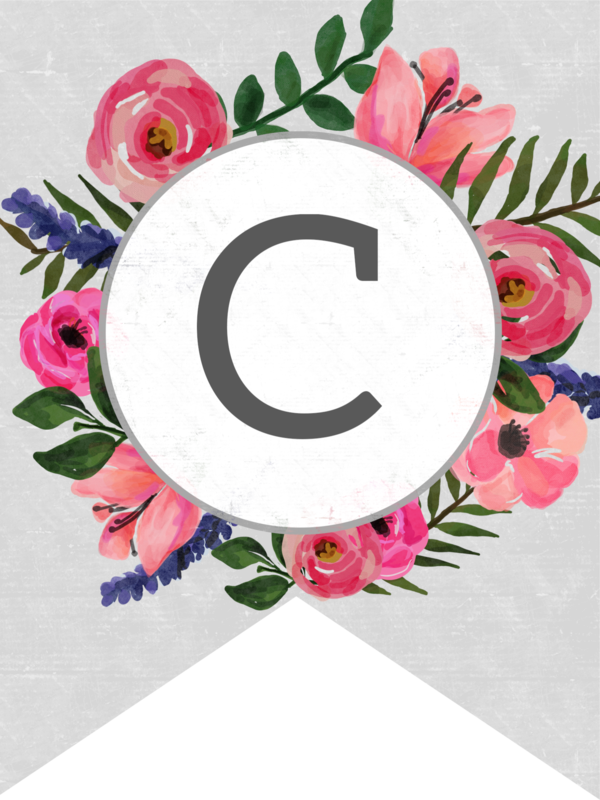 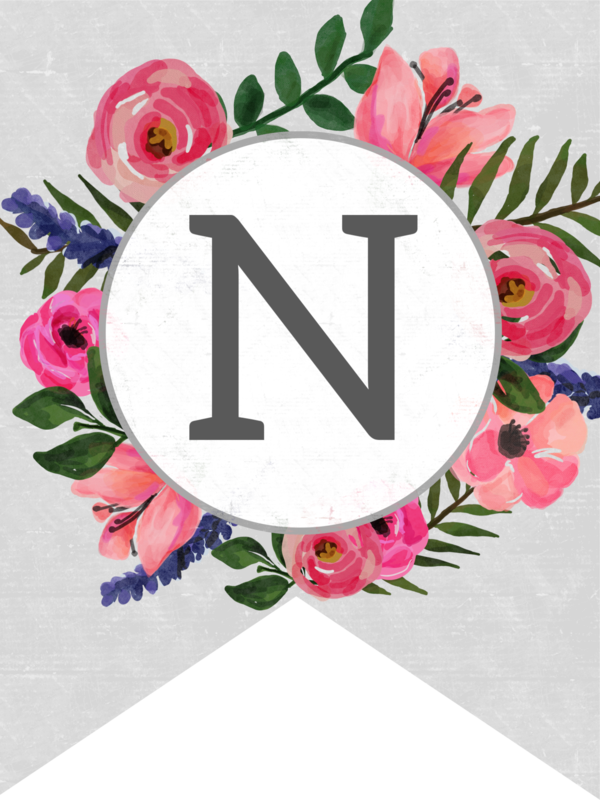 Use their free trial if you want to edit the blank floral banner flag or one of our other printables. This floral banner was so popular that we created another floral banner style that you can find here. 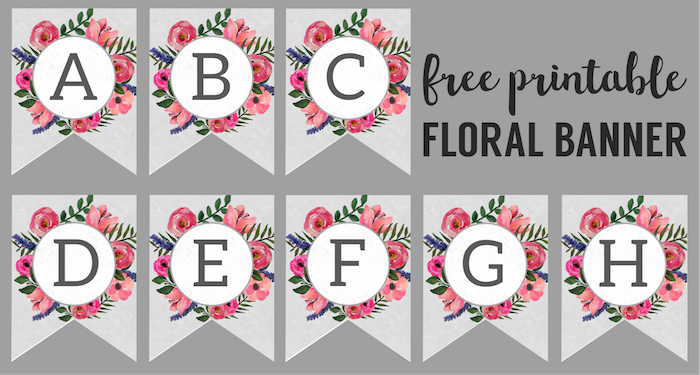 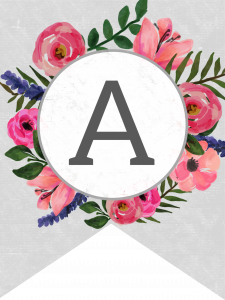 Don’t forget to check out PicMonkey a free trial of their website and you can easily customize these floral alphabet banner letters free printable. If you want a little more guidance then check out our tutorial on how to use picmonkey. Here’s another floral banner that you can print to create any message you need. 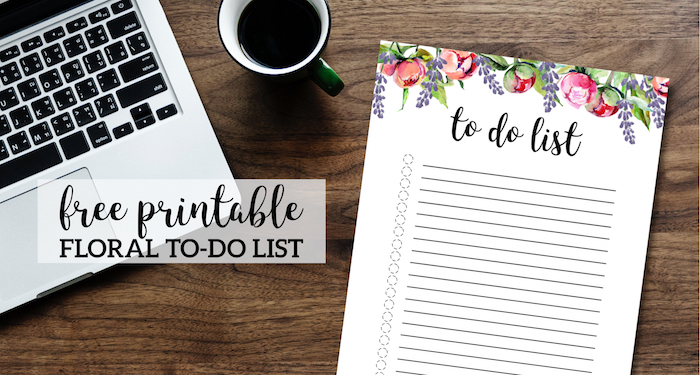 Use this cute floral to-do list to keep yourself organized. 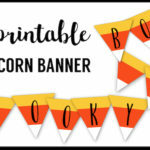 I love this basic banner and have used it for so many personalized birthday banners in our home. 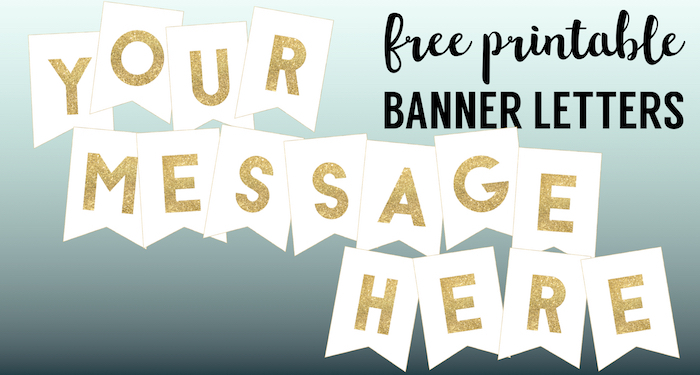 This gold banner is another fun way to create your own custom message.